We're the fresh food people! Bringing fresh food ideas to you. Same day pick up at over 1,000 locations · same low prices as in store · home or office delivery. Cashback will not be paid when using coupon code/s not listed on Cashrewards. Cashback will not be paid on the purchase of Woolworths Gift/eGift Cards. 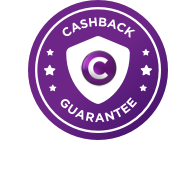 Cashback will not be paid when used in conjunction with payment by Groupon Woolworths vouchers or other third party promotional vouchers. Cashback may not be paid on alcohol & tobacco purchases. Creation of multiple accounts with Woolworths will void eligibility for rewards.